Is insurance included when I rent a car? You’ll get some cover included in the rental price when you hire a car at Preveza Aktion Airport , Lefkada PBG Limitless Car Rental has provide basic insurance, If the car is damaged or stolen during your rental, you won’t have to pay the full cost of repairing or replacing it. Find out what cover is included in the price of the rental, and how it works. Imagine if hiring a 20,000€ car, meant risking a 20,000€ bill if something went wrong. If it worked like that, there wouldn’t be many people hiring cars. Accidents happen. Even a great driver can be in the wrong place at the wrong time. Plus, the car could get damaged while it’s parked. When you rent a car, you’ll be protected by the rental company’s Collision Damage Waiver. If there’s any damage to the car’s bodywork, the most you’ll pay towards repairs is the ‘excess’. However, Collision Damage Waiver ,only covers the car’s bodywork so you’ll pay the full cost of any repairs to its windows, tires, chassis, engine, interior, etc. Like any car, a rental car is a lot less likely to be stolen than bumped or scraped. But replacing a whole car would cost a lot more than fixing a dent or replacing a side panel. The good news is: you’re protected. 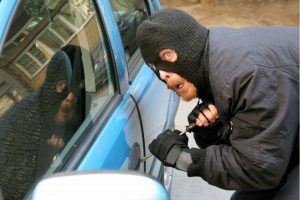 If the car is stolen while you have it, or damaged when someone tries to steal it, the most you’ll have to pay is an excess. This excess can range, The rental company’s Theft Protection policy will cover the rest of the cost. Third-Party Liability covers the cost of repairs to any ‘third party’ (anything that’s not in the car). If you damage someone else’s property, this policy will pay out. This cover is usually included in the rental price. Most of the time, you won’t pay any excess, but there are some rental companies that will charge one. Will the cover that’s included always protect me? Damage and theft coverage can work in different ways. But there are always rules laid down in the rental agreement that people sign when they pick the car up. Any driver who doesn’t stick to the rules could find they’ve invalidated their cover, leaving them to pay the full cost of repairing or replacing the car. Depending on what’s happened, they might be in trouble with the authorities too. For example, leaving the keys in the ignition can invalidate the theft cover. Damage cover can be invalidated if the driver goes off-road, or drives dangerously, or too fast, or while drunk – or if the car is driven by someone who’s not cleared to take the wheel.